As homeschooling parents, we want our homeschools to be places of joy and learning! We want our children–no matter their ages–to have fun while they work. We want them to look forward to learning new things or to getting better at skills they already have. We don’t want our children to put so much pressure on themselves that they lose the joy that attracted them to an art form or activity in the first place. As a teacher, parent, and animator, it’s heartbreaking to see that happen! When I was a young animation student, I was drawn into a sequence of excitement, opportunity, achievement, and comparison (to those more advanced than myself). Then I became insecure and frustrated. I constantly compared myself to others. Each time I saw another animator’s work, I had to try to do better. I had to try to be more valuable. I (mistakenly) thought my value as a person was measured by my skill level. I felt like I had to understand complicated concepts instantly and execute them effortlessly. I continued putting pressure on myself until that pressure robbed me of the joy I had previously felt when animating. And it continued not just through school but well into my career–until I finally couldn’t keep up with it any more. In the late ’90’s, I found myself cleaning out my desk and saying goodbye to my dream job! I had worked for Walt Disney Feature Animation for four years. Yes, I had talent, but I couldn’t draw or animate as well as other artists there–many of whom had been animating for decades. And instead of approaching my position with humble curiosity, I had instead withdrawn into myself hoping I could somehow pull off some animation that would wow those around me, which of course I couldn’t. As a result, I found myself without a position on the newest film, without the opportunity to learn from those who had so much more skill than myself, and without the desire to continue animating–a process that had always fascinated me and that was something I had truly loved to do. What had I done wrong? I had expected to learn too much too quickly. I had attached my character and self-worth to a skill that took thousands of hours to master. I had abandoned the joy of learning. I finally did give up putting pressure on myself to attain the unattainable. As a result of letting go of those unrealistic expectations, I’ve enjoyed animating in the world of film for the past 25 years! Now, though, I see the pressure in the eyes of my children and students. I think the technological advancements today make it even harder for the next generation. A world of information and opportunity is at their fingertips. So many things are effortless. Yet there are still things in life that are truly hard to master. Growing up and maturing. Learning to interact with people. Getting to know yourself. And, in the case of my students, animation. When people see animated movies, they see years of work from hundreds of people in just a couple of hours! Sometimes, unfortunately, students expect the same level of skill and expertise from themselves as they see on the screen. I try to be sure to take the pressure off of students for assignments. Our students need to understand that each one is at a different point in his or her journey. Each one is valuable. And one important job as a teacher/homeschooling parent is to get our children excited about the journey! We need to show them that doing something wrong simply provides a fantastic opportunity to learn! Mistakes shouldn’t end in discouragement but instead should build momentum. If we embrace failure and mistakes, they become catalysts for understanding instead of gauges to determine how valuable we are or aren’t. If you’d like your child to have the opportunity to learn about animation and art while learning to embrace and learn from mistakes, sign your child up for one of our classes! Students in our classes are encouraged to engage during classes, and they receive valuable feedback from our professional staff and from me. 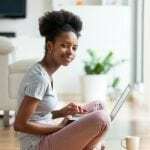 Video reviews are also used to help give students feedback and instruction and to provide them with a better grasp of animation and the art process. 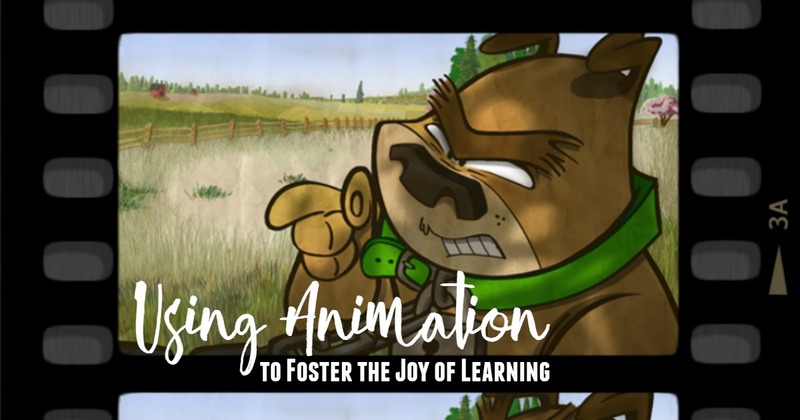 If you have students who love art and would like the opportunity to dive into classes that will provide instruction while challenging them to do their best, expand their boundaries, and work hard, we think you’ll be happy with our animation courses! We would love the opportunity to help you teach your children and to share the love of learning and creating with them! 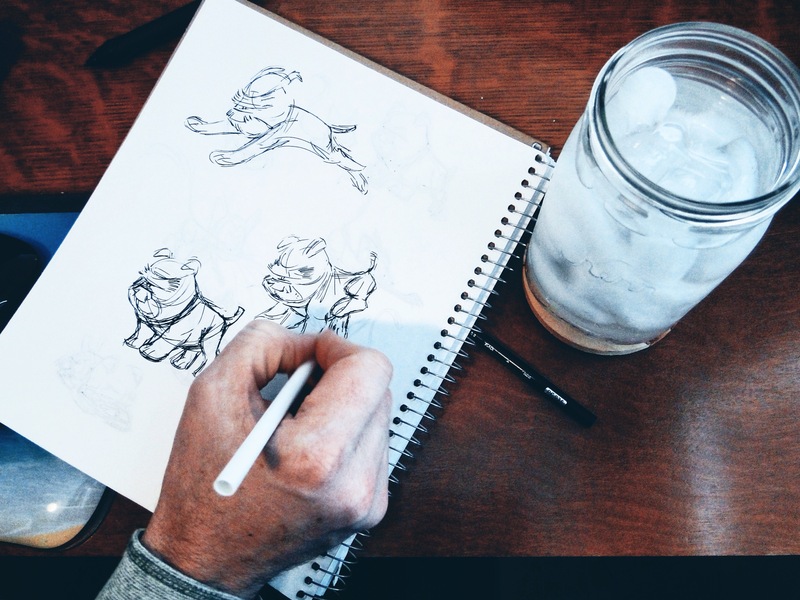 For a chance to win a free drawing class, enter our giveaway! Chad Stewart is a seasoned homeschool dad who loves the process and joy of learning. He has worked in the animation field for almost 30 years for such studios as Disney Feature Animation, Sony Imageworks, and Sony Pictures Animation. A small list of the projects that he contributed to as a 2D animator are The Emperor’s New Groove, Tarzan, and Fantasia 2000. He moved into the world of 3D animation during 2001 and worked as an animator on projects such as Stuart Little 2, Surf’s Up, Open Season and The Polar Express. He began THE ANIMATION COURSE in 2014 to bring his knowledge and love of the animation art form to school-aged students! This sounds great! What ages is it designed for? It is primarily for students ages 11-18. This sounds awesome. I can’t wait to share the info with my son.